Would you like to offer your customers the ideal mariner style gift for family or friends? If you would, then get in touch with SDL Imports on 01202 291 122 and enquire about the set of 2 whiskey shots we have available. 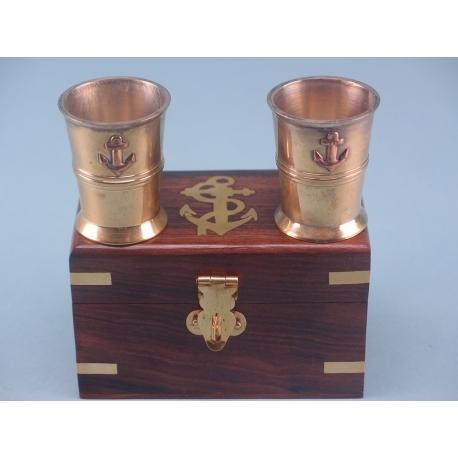 Here at SDL Imports, we have an impressive selection of gifts, decorations, and trinkets that hold to the nautical and seafaring style that we present. 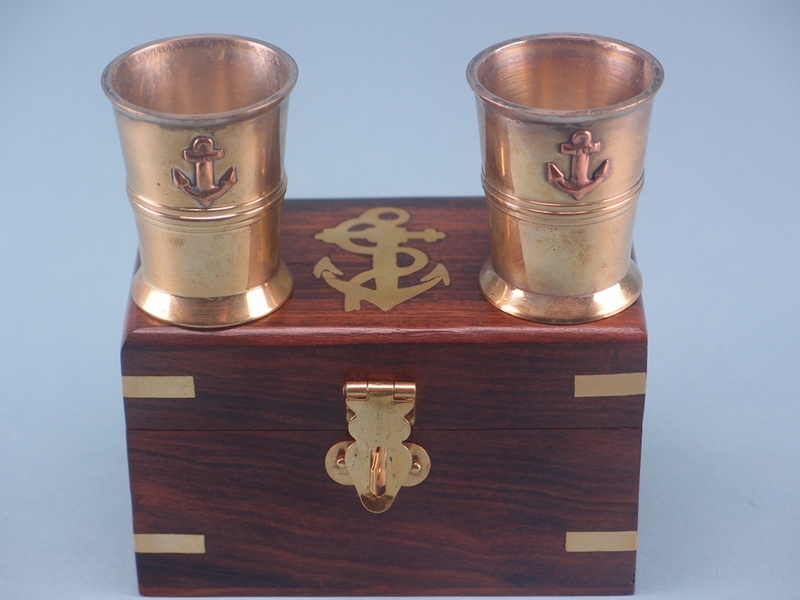 One such item is this pair of brassware shot cups, each with a decorative anchor on them. They are the ideal accompaniment to a fine whiskey, whether drinking casually or hosting friends. The ornate box also sports the same anchor on it, but with a rope winding down from the loop at the top. The dark wood finish of the box is accented by bright brass fittings and a catch at the front, which makes the whole items great for decoration as well as consuming a fine whisky.